Semiya Payasam is the easiest and delicious payasam to prepare. It can be served warm or chilled..
Heat ghee in a pan and fry cashew nuts and raisins till golden and keep it aside. Add vermicelli in the same pan and roast it till light brown and keep it aside. In a large sauce pan, add the milk and bring to a boil, stirring occasionally. When it boils, reduce the heat and add the roasted vermicelli, mix well and cook until it becomes soft. Then add the sugar, stir well and cook till it dissolves and the payasam reaches the required consistency. 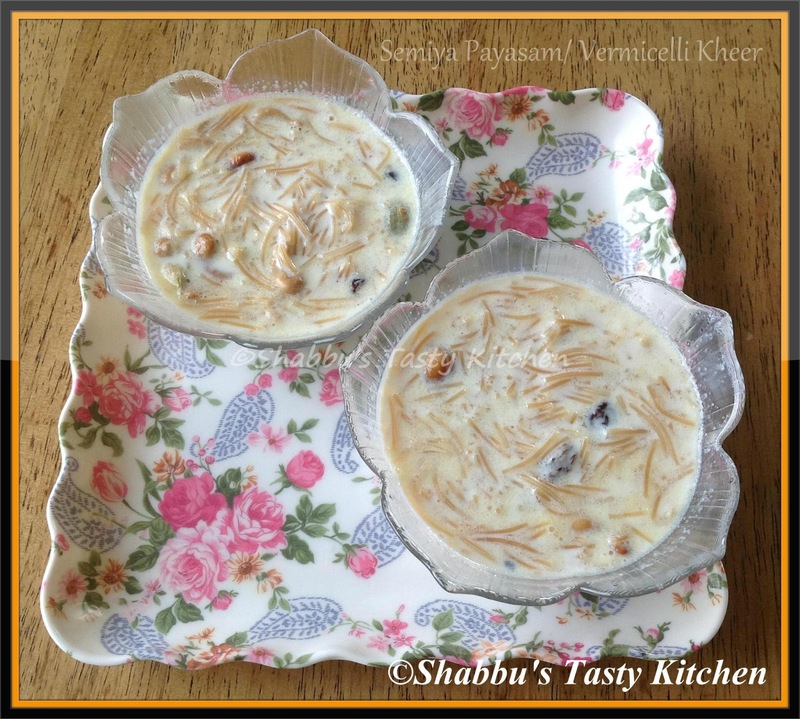 Beautifully done, who can resist to this creamya payasam. Adipoli, semiya payasam kanditu kothi varunnu. Enniku kitumo.